On 1st December every year, the world observes World AIDS Day that is promoted by the World Health Organization (WHO). The objective of observing World AIDS Day is dedicated to raising awareness of the AIDS pandemic caused by the spread of HIV infection. 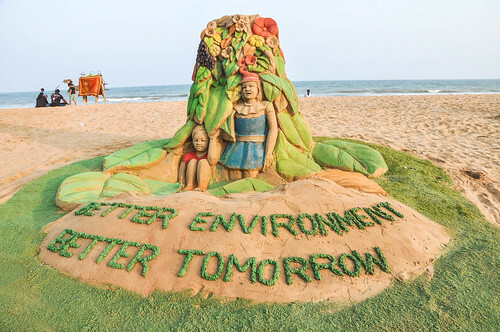 On the eve of World AIDS Day, International reputed young Sand artist Sri Manas Kumar Sahoo has created a sand sculpture on his art gallery, on the golden sea beach, near light house of Puri at the distance of 65 KM from Bhubaneswar the capital of Odisha. World AIDS Day draws attention to the current status of the human immunodeficiency virus/acquired immunodeficiency syndrome (HIV/AIDS) epidemic worldwide. 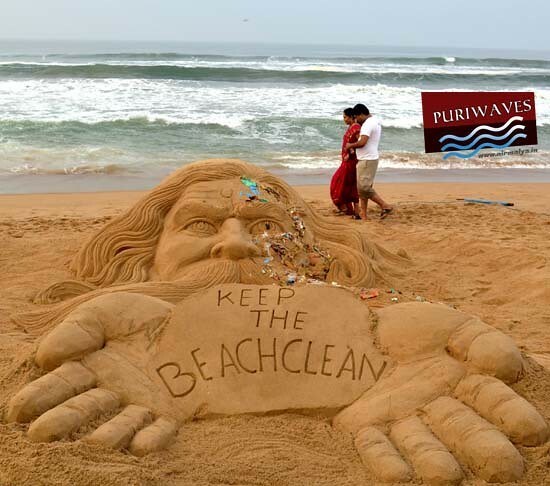 The theme for this year’s observance on December 1st is “Getting to zero“. Now a day’s worldwide people are afraid of the consequence of the fatal disease AIDS. But mere fear is not the solution. AIDS can be control and check and not be allowed to spread. Therefore consciousness of people is essential. 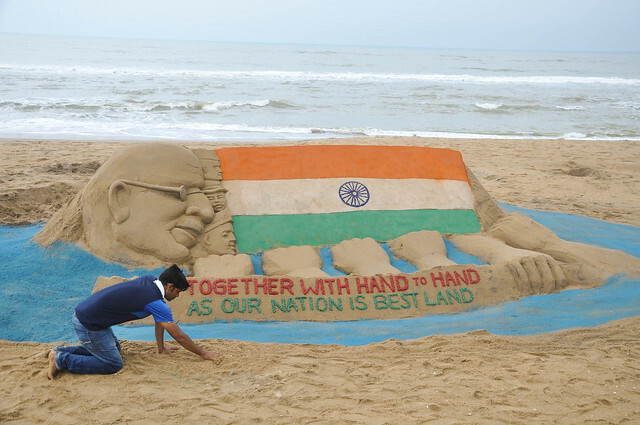 To arouse this consciousness is the intention behind the construction of sand art of the sand artist. Mr. Manas Kumar Sahoo has prepared a red ribbon with HIV victims. And he also mentions the young mass aware the people and fight against HIV. 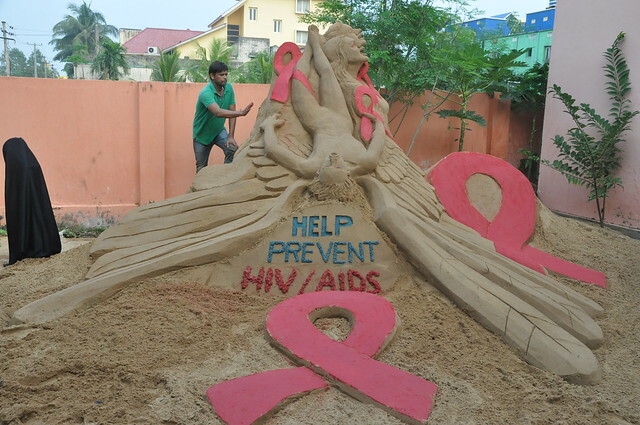 The sand sculpture is of 8 feet height made with 20 tons of sand, with a hard labor of nearly 20 hours and with a message “HELP PREVENT AIDS/HIV”.